Diabetic Foot Specialist - Fishers, IN & Anderson, IN: Lawrence E. Lloyd, DPM, FACFAS: Board Certified Podiatrist: Lloyd Podiatry Group, Inc.
Diabetes leads to circulation issues and nerve damage that can increase your risk of serious foot ulcers and even amputation. 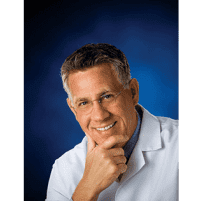 At Lloyd Podiatry Group, Inc., in Anderson and Fishers, Indiana, you can meet with board-certified podiatrist Lawrence E. Lloyd, DPM, FACFAS, who provides comprehensive diabetic foot care. Whether you need a preventive visit or have a diabetic wound you need to be treated, schedule an appointment today. Book your exam online or over the phone. While anyone can certainly suffer from a foot or ankle wound, the concern is often greater for diabetics. Blood sugar spikes associated with diabetes can lead to nerve damage, a condition known as neuropathy. When your feet are numb, you might not be able to feel that you have a wound, so it goes untreated and can quickly get infected. As if that’s not enough, those same blood sugar spikes affect your circulatory system, so blood flow to your lower extremities becomes extremely limited. Diabetics are even more likely to suffer from wounds because of impaired sweating, or dry or cracked skin. Building a relationship with a podiatrist and undergoing routine diabetic foot care evaluations are essential for your health to both prevent and treat any issues that may arise. Are there symptoms of diabetic foot wounds? If you notice any of these symptoms, schedule an exam at Lloyd Podiatry Group right away to have your wound treated. Dr. Lloyd evaluates your feet and ankles regularly, spends time counseling you on how to care for your feet at home, and educates you on checking and caring for diabetic foot wounds. He can even get you fitted for orthotic inserts or diabetic shoes to help prevent foot wounds. How often do I need to see a podiatrist if I have diabetes? In most cases, the team at Lloyd Podiatry Group wants you to check in annually for preventive diabetic foot care. But if you have a history of diabetic foot wounds or are having difficulty managing your blood sugar levels, Dr. Lloyd might want to evaluate you two to three times per year. Book your diabetic foot evaluation at Lloyd Podiatry Group online or call either office directly.